STORY — Seventeen Saddle Co Inc. IMPRESSIVE IN FORM AND FUNCTION. 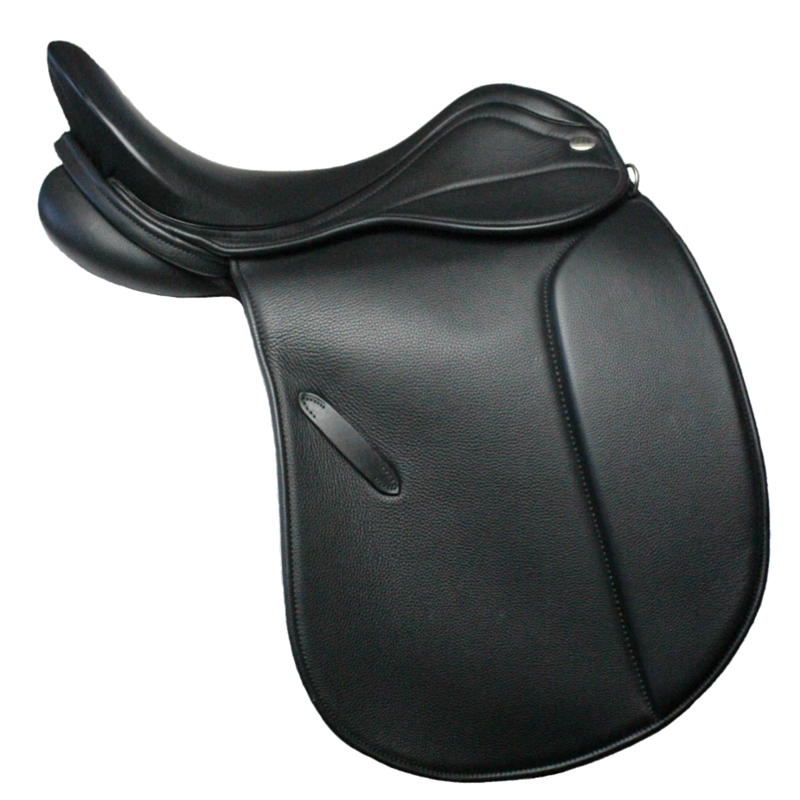 Modern styling to an iconic traditional design has made this classic dressage saddle unmistakable. The classic lines paired in a single flap molded thigh block design gives the rider complete freedom of choice from various block sizes, while providing a close contact feel between horse and rider. The flap is gently tapered to the riders leg enhancing the the streamlined and elegant contour, all of which, creating a sovereign ride. Seat Sizes: 17.0" / 17.5" / 18.0" / 18.5"